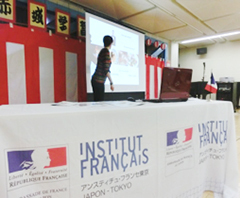 The Shinjuku City multicultural exchange gathering—French language and culture class took place on October 14 (Sat. 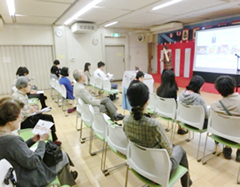 ), 2017 at Akagi Lifelong Learning Hall. 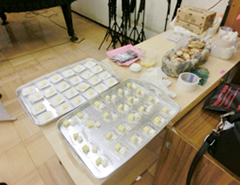 Students learned the characteristics of different cheeses during the culture class, including taste-testing two types and confirming the differences. 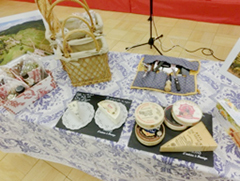 They also heard about different ways of enjoying cheese and French dishes using cheese. 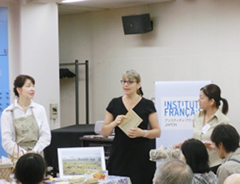 During the French-language class, students learned simple greetings, how to count in French and basic conversation, such as how to order at a bread shop or restaurant. 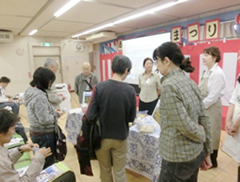 Even those trying out the French language for the first time enjoyed friendly exchanges with fellow participants. The sight of everyone practicing out loud was particularly impressive. Multicultural Living Project—Recruiting Futsal Club Members! Want to read Natsume Soseki’s books in foreign languages? You can read them at Shinjuku Libraries.